Why should you hold a workshop? As we have already established, I love a good workshop. I love giving workshops, and if they are done well, I love being a participant. I love sharing ideas, having discussions, learning while doing. Lots of people do workshops. It is a term that has become a bit of a catch all for those situations where you get a group of people together in the same space and work with them. I know people who do workshops on Social Media, Finance, Sales and Marketing, Business Development, Nutrition and Mindfulness to name but a few. Most of the people who do them are not trainers or facilitators in their own right. They are not necessarily people who work predominantly with groups for a living. They are people who are experts in their field, have a wealth of knowledge to share and have decided to do a workshop as part of their business offering. The topics are vast and the things you can learn amazing. But it’s not easy doing a workshop. And it’s even harder to do a good workshop. It’s fairly nerve-wracking the first time, standing up in front of a group of people and telling them what you know, watching a lot of faces full of expectation looking to you for the answers. But once you get over that hurdle, it feels fairly do-able. After all, you are the expert. The hard bit is doing it in a way that maintains a good audience of attentively listening, actively involved, motivated participants. Being creative enough with your worldly knowledge so it is accurately and effectively imparted to a group of paying guests is not something to embark upon lightly. You’ve broken through the “everyone’s listening to me” thing, now you have to keep all those eager faces from drifting away, not sticking to the programme, losing interest. That’s the killer, much worse that everyone looking at you! So, nothing to worry about at all then. 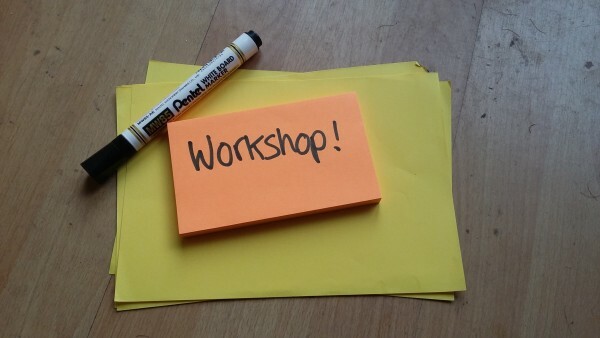 Perhaps I’m not selling it well enough, the idea of holding a workshop. The how, is most definitely something you need to work on. But the why, well that’s much easier……. It will make your business offering stand out from the crowd. If your workshops are enjoyable and interesting and do something above and beyond the typical pattern of training sessions, then that might just be the edge you need in this competitive old world. It is a face to face opportunity, engagement in the actual sense. Technology is so brilliantly advanced that we do a lot of our business on line or on the phone these days. Superb as this may be, there is nothing like discussing information face to face, person to person. Experiential learning and learning by doing is how most people learn best and a workshop can deliver this brilliantly. 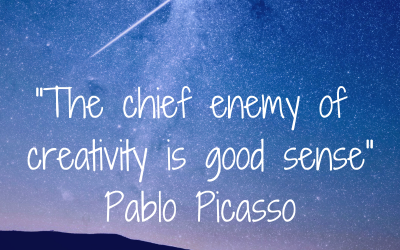 This is particularly true for creative people, so if this is your audience then your offering should go down well. By keeping your participants well engaged and motivated they will have had a fantastic opportunity to learn something new. They are more likely to retain what they have learnt. And they may very well want to share that with others. It is a cost effective way of imparting information. You have an audience of people all wanting to know your most important facts, thoughts, ideas, and expertise all in the same place. Getting them together at the same time means you have one discussion with a lot of people. Big time saver from your point of view. This is especially true if you are repeating a workshop you have done before and don’t have to spend hours and hours redesigning it. Networking. A workshop not only provides the opportunity to learn something new, to practice, discuss and gather ideas, but an opportunity to meet new people. It is a ready made networking session, without the actual networking! It is an opportunity to share ideas. Unlike a traditional training session, or a presentation a workshop is necessarily participative. It is a chance for people to learn from you as the workshop host, but for participants to learn from each other too. It is an opportunity for YOU to learn from your participants about what they know, how they may apply your ideas, and to see how well your business offering is understood. Never forget to ask for feedback at the end – this will enable you to work out what the best bits and the worst bits were, the things you might do again and the things you will avoid. 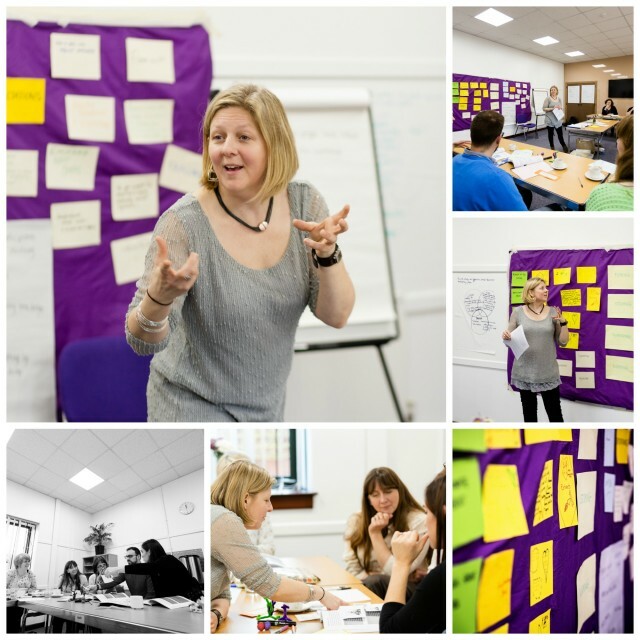 Why do you think workshops as a great part of a business offering? 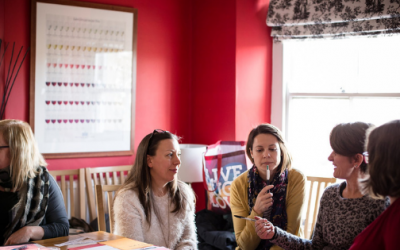 If you do already give workshops but they aren’t quite as shiny and fun and motivating and engaging as you’d like to be though…..give me a call! My next workshop is coming soon so book a slot and I’ll help you make your’s sizzle!